I’m planning on getting the intermediate Zords just to hold me over till the transforming ones are released. One thing that I was kind of disappointed about after watching some YouTube reviews is the villains don’t have the same hip joints that the Rangers do. It’s not a huge deal but it would’ve been nice to have Blaze be able to do everything the red ranger can do. SentaiFive tweeted this instagram link from a guy who found the Cheetah Blaster in L.A. These figures are cool. I had to paint the zipper part but that's ok. The beastbots are available online through toysrus. Should be hitting stores in Canada very soon I would assume. I finally got some time to open up these figures. Damn they are amazing, very realistic body type that's for sure. 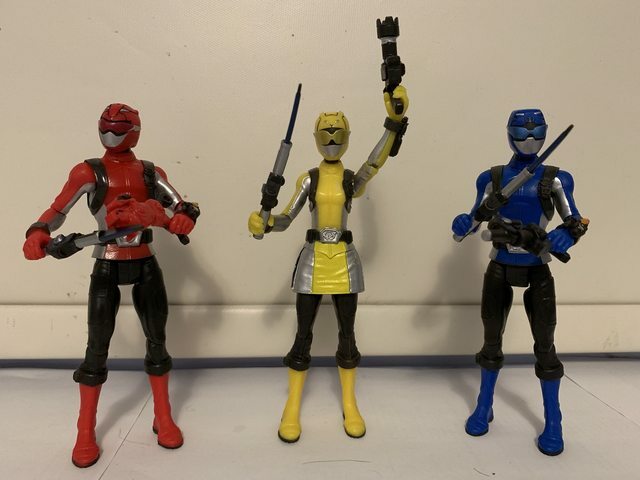 Yellow also shares the same height as the guys, and she doesn't suffer from bandai's tiny feet. So it's easy to pose her and get to stand without any issues. The only problem I have is getting the figure to hold the weapons properly. The glove is definitely tight. Last edited by Dyl; March 14th, 2019 at 07:54 AM. I finally got some time to open up these figures. Damn they are amazing, very realistic body type that's for sure. Yellow also shares the same height as the guys, and she doesn't suffer from bandai's tiny feet. So it's easy to pose her and get get to stand without any issues. They only problem I have is getting the figure to hold the weapons properly. The glove is definitely tight. so at the same price of $10, we're getting larger, better basic figures than what Bandai put out? Banda’s figures were more blocky compared to these figures. These are almost like the figurarts body type. Also I get the price hike because a lot of work went into these figures and we are finally getting detailed weapons again. Also hasbro is went that extra mile to give us personalized packaging for each figure. So I would say the price hike is fair. I feel like hasbro took a lot of pride in their work while in Bandai’s time they tried to cut corners when ever they could. Price hike? Power Ranger Action Figures have been $10 since at least Dinocharge if not Megaforce. Cool! Does the motorbike figure transform? Watching the guy who did a review on the blaze figure, So for the basic figures, the 4" line, do the feets only go forward and back? or is there a swivel joint he didnt show? You mean at the knee? That joint bends, swivels and the figures are 6". No im talking about the joint that moves the leg. The joints on the hip to leg. see what I mean? I'm not seeing a side to side joint. Just front to back. and really? Theyre 6"? lmao, i figured they were small considering the blaze figure was small in the reviewers hand. Last edited by JohnnyX; March 16th, 2019 at 07:04 PM. Blaze and Tronics don’t have the same hip joint as the Rangers. So yes, only front to back, no side to side. I'm probably be bashing Red Ranger's posable upper legs onto Blaze until we get a proper LC figure of him. they probably wont have joints where you could to that without cracking the torsos open. I'm aware. You can cement them back together once everything's been cut-up and put into place. I'm not exactly a virgin when it comes to doing toy surgery. Wow, didnt mean to offend dude. Just that with joints like these are usually reverse where blazes are from the leg to torso where the rangers are probably torso to leg. If you can pull it off awesome. 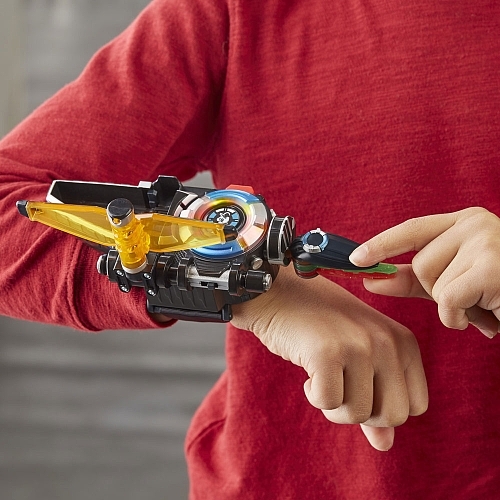 From Toys R Us Canada, it's available now, but does anyone else noticed it's on the wrong hand? I hope it doesn't awkwardly fit the left, where it should be.